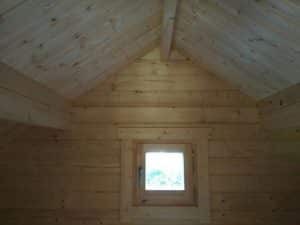 We are feeling super pleased to have just finished assembling our Karina Log Cabin for our customer Paul. 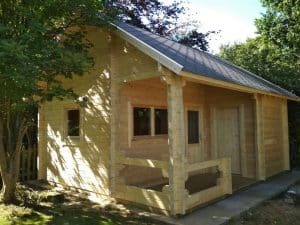 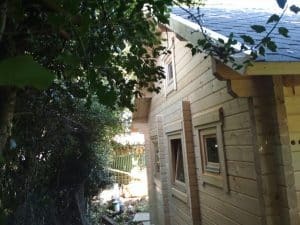 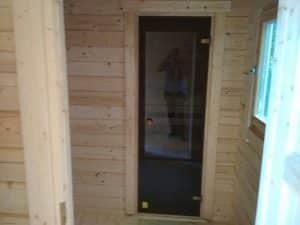 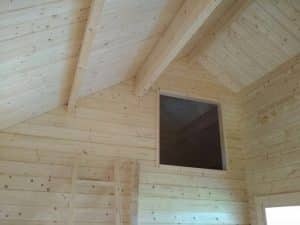 This massive 70mm cabin is a combination of a spacious sauna area, 10m2 garden room, 5 x 2m upper loft and 3 x 1,5 m veranda. 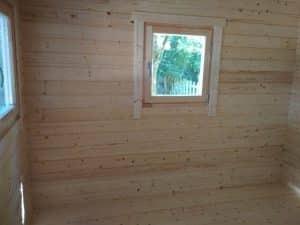 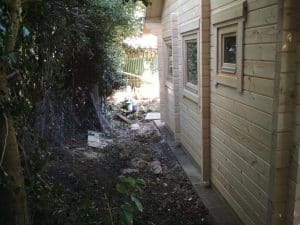 The 10m2 garden room can be used as a gym, office, or for ancillary accommodation, summer kitchen or for many other good uses. 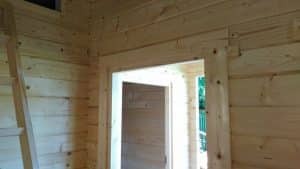 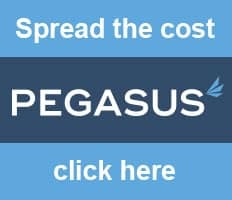 Extra thick walls, double glazed windows and sturdy 28mm floor boards ensure good temperature resistance and additional floor insulation enables you to use it all year round. 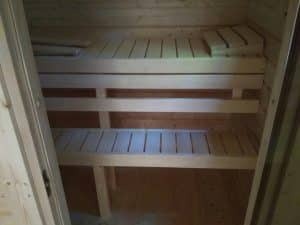 The Sauna area consists of three rooms: changing room, shower room and sauna room. 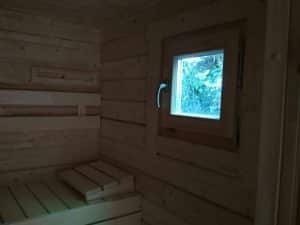 Full sauna room equipment such as sauna benches, headrests and glass sauna door are included in the cabin set. 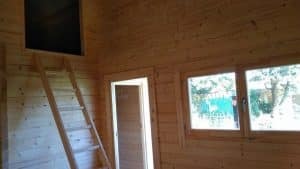 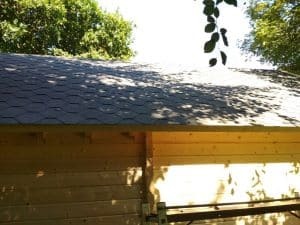 The upper 5x2m loft can be used for extra sleeping places or for storage purposes, and finally the capacious veranda area can be used for relaxing and cooling down after taking a sauna as well as for al fresco dining or just enjoying a glass of wine in good company.